Igor Vishnevetsky – professor, novelist, composer – is a man full of stories, and not just the literary type. 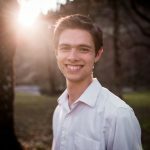 This is his first semester at Franciscan University of Steubenville, during which he has been teaching a course on Russian Literature, and he is truly a hidden gem on campus. Vishnevetsky grew up under the Soviet Union in Rostov-on-the-Don, the biggest city in southern Russia. Born into a family of university professors, he swore from a young age that he would never become one. After graduating from the Moscow State University school of languages and literature, Vishnevetsky was assigned to teach for two years in the school system to repay the Soviet Union for his free education. His friends later urged him to apply for graduate school in the United States, as he was denied the right to apply in Russia “because I was a suspicious person. … Nonsense,” he said with a wave of his hand. Having earned his doctorate in Russian literature at Brown University, he’s been in the U.S. ever since. 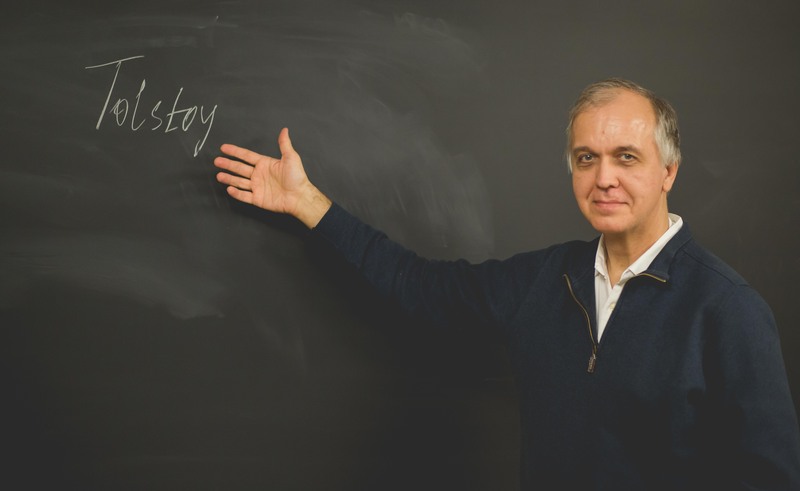 Vishnevetsky has taught at schools all over the country, from an Eastern Orthodox seminary in Chicago to Carnegie Mellon University in Pittsburgh, where he lives now. Most recently, the head of Franciscan’s English department, Stephen Lewis, invited Vishnevetsky to teach a class here. When he’s not teaching, Vishnevetsky is a writer, poet and novelist. “I think I developed myself into a very useful writer,” he said. Writing mainly in his native tongue, he has published six books of poetry and four books of prose. He is also a filmmaker and worked with friends to produce a movie adaptation of his own novel, “Leningrad.” The novel, translated into English, Macedonian and soon Italian, is about the Nazi siege of the titular city during World War II. Overarching all of his accomplishments is Vishnevetsky’s faith. An Eastern Orthodox Christian, Vishnevetsky enjoys being able to discuss faith and Christianity in his literature classes, and all of his experiences bring a new dimension to the literature for students. One feature article can only capture so much, so don’t miss your opportunity to take a class with him next semester! The man, the author, the legend – no one has stories like his.